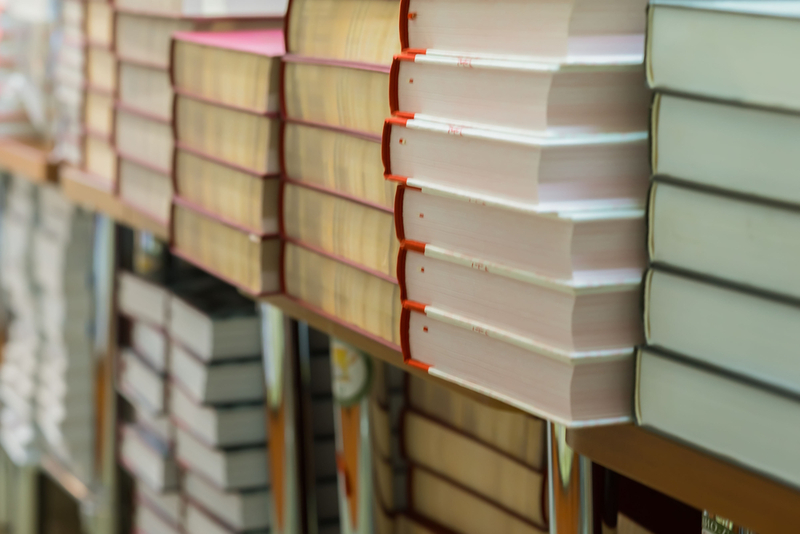 In July, a new Florida state law took effect that permits any resident of the state to object to textbooks that are used in classrooms. While the law doesn’t explicitly mention science, teachers like Brandon Haught, co-founder of the non-profit Florida Citizens for Science, are concerned that the subject may get swept up in the broad legal language. The Florida bill is the first of its kind, but there have been other attempts at passing similar ones in states across the nation. Haught and Julie Palakovich Carr, a science policy expert, talk about what the passing of this bill means for science curriculum and teachers in Florida, and other similar policies in other states. Julie Palakovich Carr is Public Policy Manager for the American Institute of Biological Sciences in Washington, D.C..
Brandon Haught is an environmental science teacher at University High School. He’s also author of Going Ape: Florida’s Battles over Evolution in the Classroom (University Press of Florida, 2014), and Communications Director and Co-founder of Florida Citizens for Science. He’s based in Orange City, Florida. IRA FLATOW: This is Science Friday. I’m Ira Flatow. I’d like to call this hour our back-to-school show. As you know, school has started for many students and teachers around the country. In this hour, we’re going to weigh the evidence for learning styles. You know what I’m talking about if you’re a teacher. It’s whether you can be a visual or auditory or kinetic learner. What style do you use? And we’re going to meet the educators who took inspiration from this program, our program, Science Friday, to teach us why bees use hexagonal honeycombs to store their food, why raw eggs spin differently from hard-boiled eggs, and a lot more. But first, we’re going to start off in Florida where a new state law took hold this July that allows any citizen to challenge school instructional materials, like textbooks. You don’t have to be a parent of a student or a teacher. Any state resident can oppose a textbook that is used in a classroom. And so that means there’s a tug of war happening there. The law’s supporters say citizens should have a say in what students are taught. The law doesn’t specifically mention science. But some in the scientific community are concerned that it may be a tool to target science in the classroom. Are you a parent or an educator? We want to hear what you think of this new law, especially if you live in Florida. Our number 844-724-8255– 844-SCI-TALK. Or you can tweet us at @scifr. Let me introduce my guests. Julie Palakovich Carr is a public policy manager at the American Institute of Biological Sciences. Welcome to Science Friday. JULIE CARR: It’s a pleasure to be on again. IRA FLATOW: You’re welcome. Brandon Haught is an environmental science teacher at the University High School in Orange City, Florida. He’s also a founding member of a Florida Citizens for Science. Welcome, Brandon. BRANDON HAUGHT: Hey, good afternoon. How are you all doing? IRA FLATOW: And we did reach out to Byron Donalds, that’s the state rep in Florida who introduced the bill. And we asked him to come on and comment. But we have not yet heard back from him. Maybe sometime during the show, who knows. Julie, can you lay out the specifics of the Florida law. How does it work? JULIE CARR: So this summer, the Florida Legislature enacted a new law. It was House Bill 989. That basically allows any resident of a county to file a formal complaint with their local school district about a textbook or other piece of instructional material. And that’s whether or not that person has a child enrolled in the local public schools. Once those complaints have been launched, the school then has to hold a hearing basically before a review officer, who will make the ultimate decision about whether or not that piece of instructional material will be used in the schools. What’s notable is that the review officer cannot be someone who is either employed or an agent for the school district. What’s particularly concerning about this legislation is some of the comments that were filed with the state legislature as the bill was moving through the legislative process. And some of the supporters of the bill made very clear that the teaching of evolution or of climate change was really their big concern and why they thought this legislation needed to be enacted. IRA FLATOW: Brandon, is that what you feel, as a science teacher, that this is really the where the law is pointing at? BRANDON HAUGHT: It is definitely one of the potential consequences. The first thing I’ll need to do is go and make one quick correction to what Julie said. Yes, the hearing officer does hear evidence presented to him or her. But then that hearing officer makes a recommendation to the school board. And it’s the school board that still makes that final decision. It’s not up to the hearing officer. But yes, my group, Florida Citizens for Science, has been tracking this for quite some time now. And we realize that this is actually coming out of a small group in Southwest Florida who has been constantly I guess you could say harassing their local school board about their textbooks. And they felt that they were being ignored by their school board. But if I’m looking at their complaints, which are, as Julie said, about evolution, about climate change, completely nonscientific ideas, then I can see why the school board was saying, thank you but no thank you. And so being frustrated with that process, this group then decided to go ahead and draft a law. Yes, they actually drafted the first copy of this law. They then recruited a lawmaker, who then presented it in the legislature. And from there, it passed through and became law. IRA FLATOW: Julie, other states have proposed, quote, “academic” freedom bills that support teaching the debate over topics like climate change. Is the Florida law different from those proposals? JULIE CARR: It is substantively different. Of course, attacks on evolution education are nothing new. However, most states have taken a tact of specifically trying to address evolution or other, quote, unquote, “controversial” subjects like human cloning or chemical origins of life or climate change. And in fact, a number of other states did consider legislation in that vein in 2017. In fact, there were 11 measures introduced in eight different states. But the Florida bill was unique in that it does not specifically address evolution or even mention science education anywhere in the legislative text. IRA FLATOW: Let’s go to the phones because we have some teachers who are calling in. Let’s go to Shannon in Charlotte County, Florida. Hi, Shannon. Shannon. SHANNON: Hi, Ira. How are you doing today? IRA FLATOW: Fine, what’s on your mind? SHANNON: I’m just very concerned about the impact that this law is going to have on our students here in Florida. I teach in Charlotte County as a public school teacher. And I’m not just concerned about science solely, but also civics and history. We’ve had a lot of debates over mentioning of Islam in our world history books. And it was just a ridiculous amount of controversy over that. IRA FLATOW: OK, thanks for the call. So it could attack other things, Julie and Brandon, besides science. BRANDON HAUGHT: Oh, absolutely. Actually the group that created this law, science is down on their list of priorities. They actually did attack wholeheartedly the history books and civics books. But the reason why science has become so prominent in this conversation is because my group has brought it to the public’s attention. And that’s actually one thing that’s disappointing is that with science just being a small part of this group’s complaints, no one has come forward to defend the history and the civics. And that’s just very concerning to me. IRA FLATOW: Julie, the Florida bill is the first of its kind. We talked about how it’s different than other places. But do you think it will influence other states to move also? JULIE CARR: There’s certainly that potential. We’ve seen that in other states where, say, in Louisiana in 2008 when they enacted their so-called Science Education Act. That after that text was successful, that legislators in other states actually then used that as a model for legislation that they were pursuing. So subsequently, a few years later in Tennessee, a similar bill was introduced and ultimately passed. And we’ve seen similar legislation in other states since then. So there certainly is the potential that now the Florida bill could become a model for other states as well. IRA FLATOW: Let me go back to the phones to another Florida resident– Sam in Jacksonville. Hi, Sam. SAM: Hi, thanks for having me on. I really love the show. IRA FLATOW: Thank you. Go ahead. SAM: I think the law, it seems crazy that we would try to regulate the textbooks that the educators have chosen themselves. But on the other hand, I can understand some of the anxiety because, I mean, my girlfriend and her little brother is in high school. And I look at some of the stuff in her textbooks and they make a lot of policy recommendation, especially when it comes to things like climate change that might unnerve people. It says, so there’s a problem and the solution is to regulate it or to get the government involved, instead of maybe thinking of a private solution or something that a corporation could do. And I think maybe those implications can cause people on the right to get very upset about these things. SAM: So maybe if we could that part out, maybe they wouldn’t be so upset. Well, Julie what do you think? JULIE CARR: We certainly do hear concerns around that. But I think on the more basic level, people are also raising fundamental doubts about the actual science underlying climate change or evolution, and certainly have seen enough critiques of science education that are about the underlying science. BRANDON HAUGHT: Well, I think that the students that I get in my classroom don’t know very much about climate change. And so I work hard to build a foundation. And it’s incredibly important that you have a good solid foundation on which these kids, when they become adults, can then build on. And if we start compromising, if we start saying, well, let’s not teach this part or let’s change how we teach that part, you put cracks into that foundation that can then influence them far, far into the future. So we need to be careful with that. IRA FLATOW: In the efforts to teach creationism back in the biology classes a few years ago, they were trying to use the teach the controversy theme, as if there was a controversy that didn’t exist. Do you think this is the same kind of wedge but in a different form? BRANDON HAUGHT: Oh, it absolutely is. And what’s scary is that in this group’s complaints, when they talk about evolution, they want evolution balanced with something else. And they’ve come in black and white, on paper, they’ve actually said, we want something creationist, some type of Bible thing. And so that sends you a clear message of what these people are thinking. IRA FLATOW: Julie, you agree? JULIE CARR: Yes, one of the things that’s troubling about the new Florida law is that the criteria for reviewing educational materials include some pretty generic language, including whether it’s accurate, objective, and balanced. And definitely that last word balanced is one that has been used in some other states in terms of attacking evolution education. IRA FLATOW: The hearing officer– who is supposed to be that person? BRANDON HAUGHT: That is completely left up in the air. As a matter of fact, the gentleman that you wanted to have on, Representative Donalds, was on another radio show saying that in the legislature they purposely left it vague so that each school board could come up with their own determination of how that should be done. And so one thing that’s very concerning to me is that the very group who wrote the law, recruited the lawmaker, got the law passed, they have come forward and said, you know what, the school board doesn’t have to worry about the finances of hiring a hearing officer. We will volunteer to be those hearing officers. IRA FLATOW: So it doesn’t have to be anyone with an educational background or a science or any kind of teaching background. BRANDON HAUGHT: But once again, the law is not clear on that. JULIE CARR: Yes, the law is very open-ended in terms of how things proceed. And people will certainly need to be vigilant as complaints get lodged to make sure that this is a fair process and people are paying attention going forward. IRA FLATOW: Is there any movement to repeal the law or do something about it? BRANDON HAUGHT: Well, the law has not even really been used yet. No one has come forth with a challenge yet. But keep in mind, the school year here in Florida has just started. Folks are just getting geared up. And here in Florida this year, the Florida Department of Education is going to go ahead and go through the process of reviewing and approving a list of brand new science textbooks that will then be used for the next several years. So once that process gets started and filters down to the local level, you’re going to see a lot of activity at that point. IRA FLATOW: All right, I want to thank you both for taking time to be with us today. Brandon Haught, a environmental science teacher, University High School in Orange City, Florida, also a founding member of the Florida Citizens for Science. Julie Palakovich Carr is a public policy manager at the American Institute of Biological Sciences. Thank you both for taking time with us today. A panel of education experts discuss challenges and approaches to teaching climate change science in the classroom.